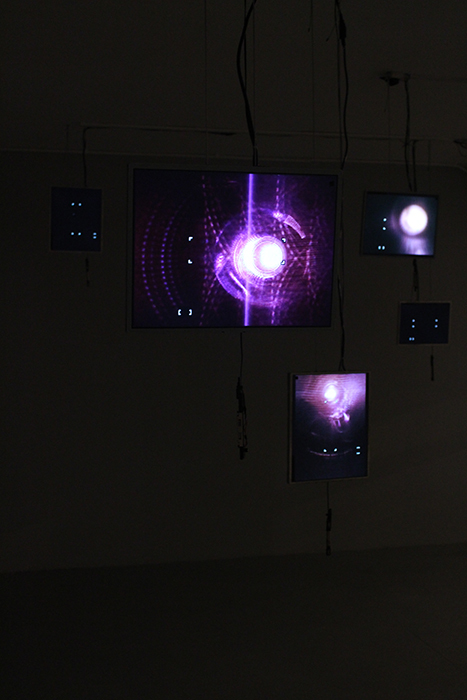 A seven screen video installation of the lasers in optical disc drives. The infra-red wavelength of laser used in CD and DVD technologies is invisible to the human eye and yet, when focused, powerful enough to do permanent damage to our sight. The lasers here repeatedly attempt ot focus on the digital image sensor which records them and renders them as visible light. 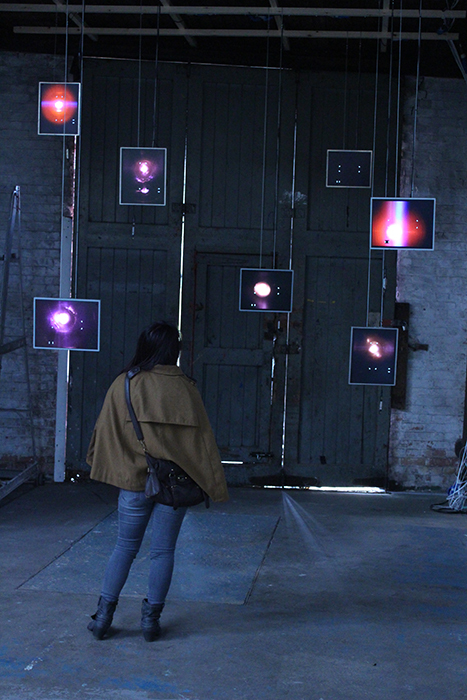 Oscillating between camera apertures and glowing irises the work mediates this hazardous light for our eyes, bridging the incompatabilities of human and machine vision.